Join us April 23rd at 2:00 pm at Hussons Pizza next to Marshall in Huntington for #7–16—Faithless and Forgotten, Part 2: Lost Colony of Taldor. This is for levels 1-5. 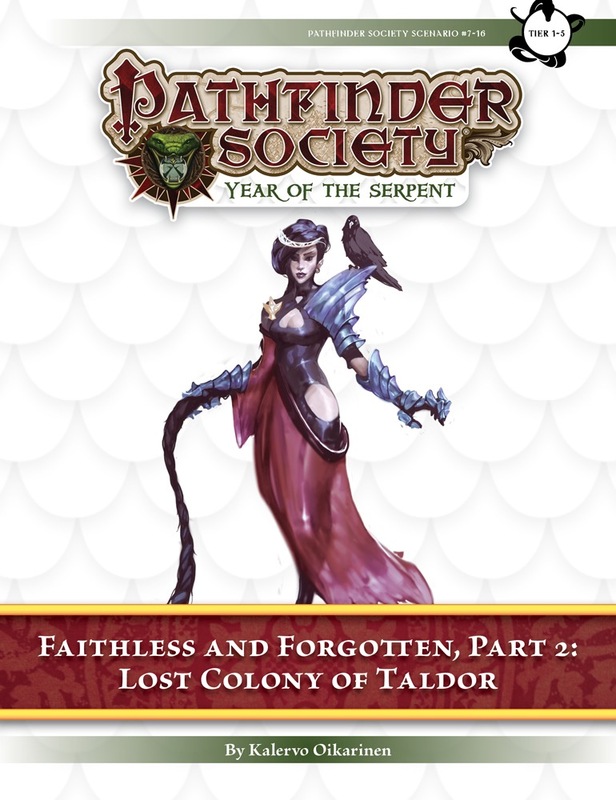 “Lost Colony of Taldor” is the second scenario in the three-part Faithless and Forgotten campaign arc.